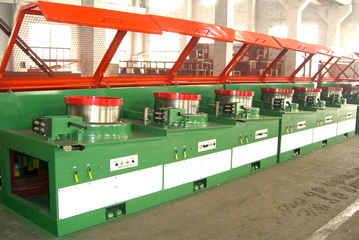 The straight line wire drawing machine is applicable to high/low carbon steel wire, stainless steel wire, non-ferrous metals wire. 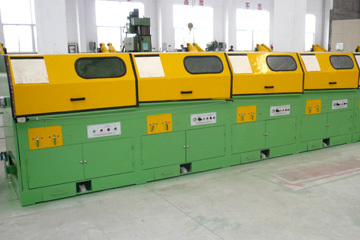 Mechanical features include the drawing capstan undergoes the hardness spray welding and grinding treatment as well as dynamic balance verification. 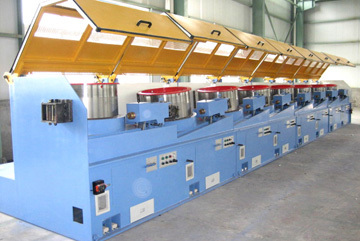 With internal water cooling and external fan cooling systems; the drawing die base can be drawn out, easy for replacement, and equipped with internal water cooling system; with the protection devices including the safe gate, breaking stop, and emergency stop, the driving gear in the gear box undergoes the high hardness grinding treatment, long in service life and low noise.